In July I felt like we were really making headway. 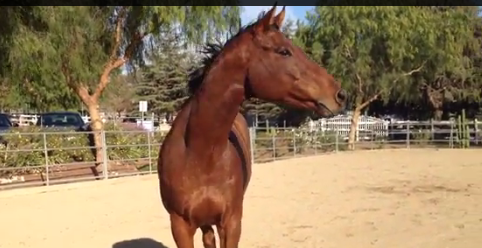 I identified Hemie’s faux spook maneuver and tried turning flatwork into flatFUN (twice). 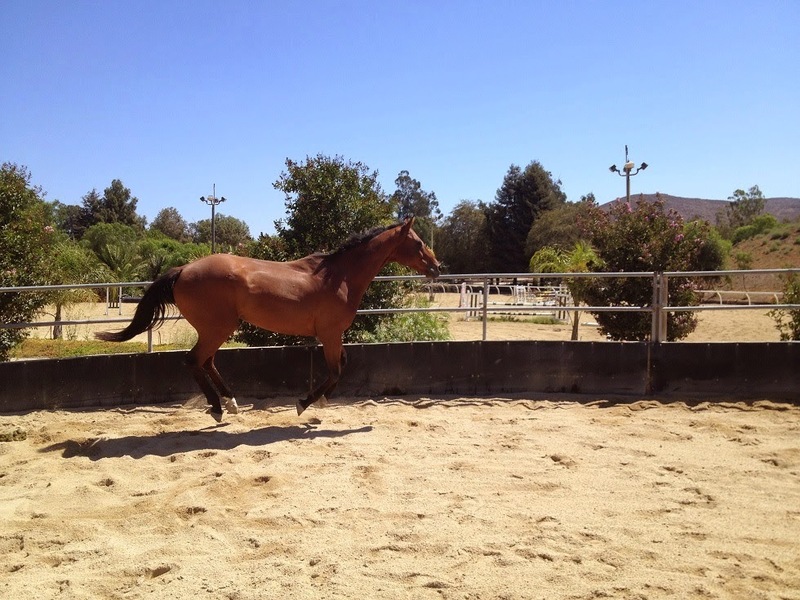 We went to a derby at El Sueno and brought home 2 blues. I also made a flash from a throat-latch. I felt our progress sliding backwards in August. We had a number of shenanigans during lessons and I started to question some approaches. 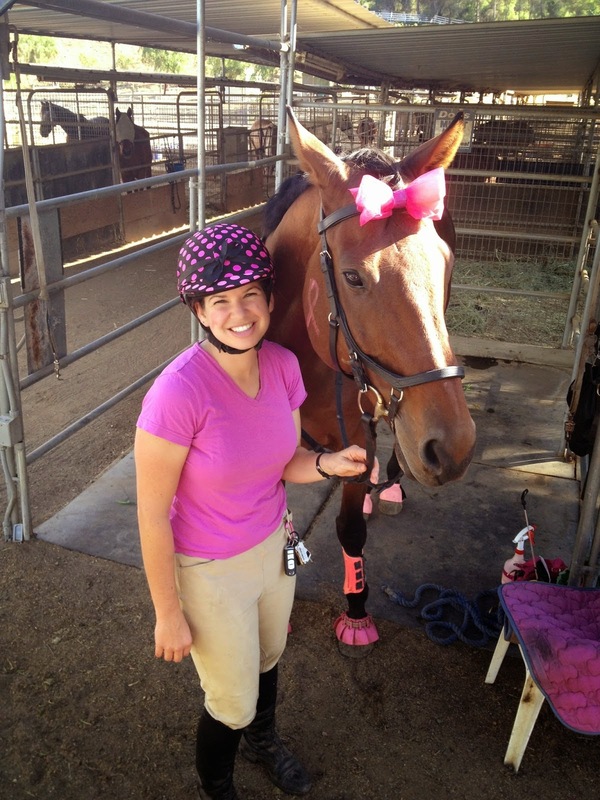 I did a bunch of blog hops and explored other equestrian topics because our own training updates were so mixed. In September I started trailering. We had some really excellent jumping with increased heights, fun and challenging exercises, and our first skinny! Our flatwork backsliding came to a head with a giant rear which led to hours upon hours of overthinking, but luckily backed up with plenty of saddle time, a change in tactics, and we started moving back in the right direction of progress. October was a good month. 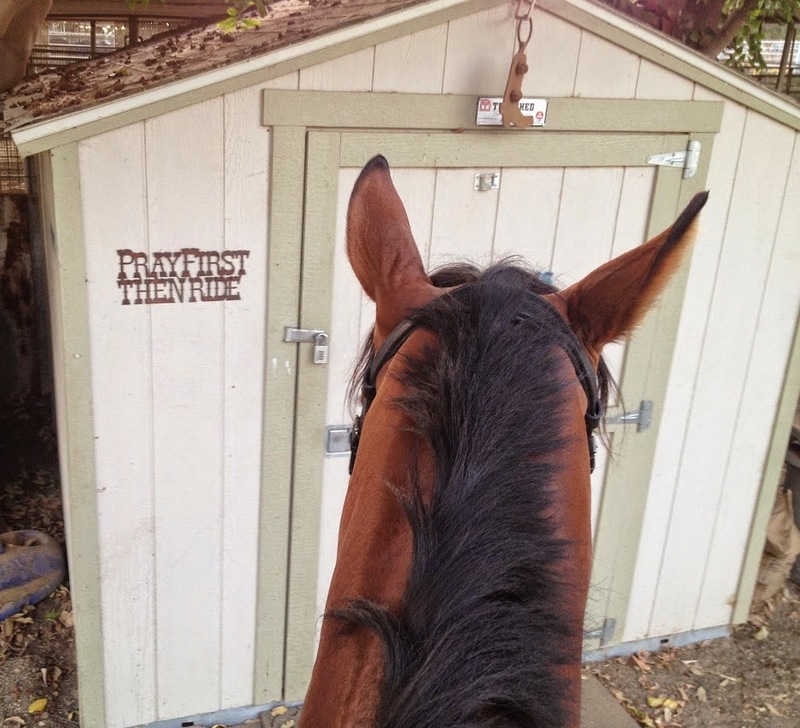 I trailered my horse off property for the first time, to a show that went well. We adopted a 3rd dog, Fenrir. I clinic’d with Chemaine Hurtado and had some positive lessons. Lots of blog hops and fun posts. And we ended our show year on a great outing. November was pretty low-key. 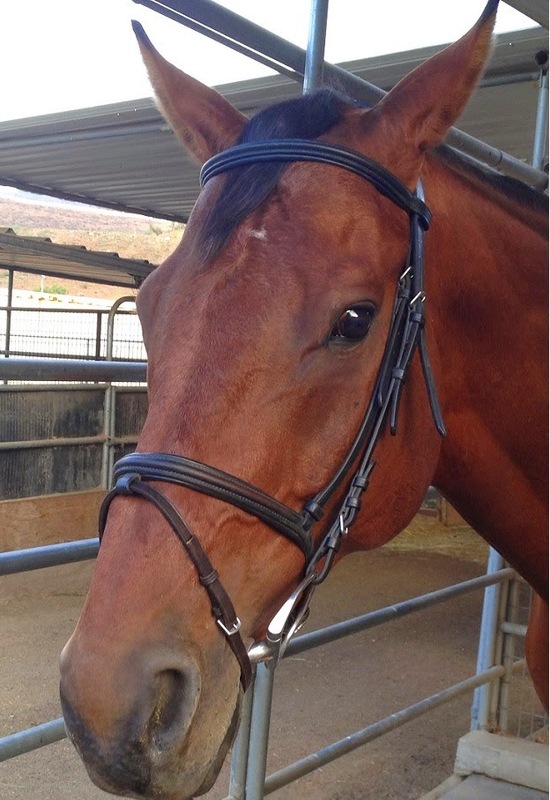 I did some dressage analysis and played with bits and such. 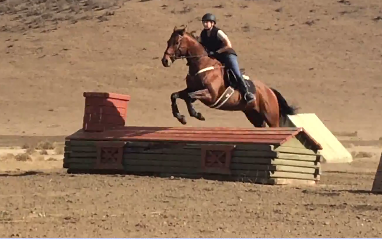 We also did a cross-country schooling at Tugger X Ranch. Oh December. Rains made for a frisky pony so Hemie got plenty of turnout time. We were able to get a few rides in around the weather. My amazing dog Levi passed away and left a hole in my heart. Holidays were good for taking time off from work and seeing family. what a busy year – and sounds super productive!! very sorry that it ended with the sad note of losing Levi.. but wishing you much happiness and success in 2015! You guys got so much done last year, especially with all the up and downs Hemi kept throwing at you. Hopefully this year goes a lot smoother!